Rowing is one of the best cardiovascular and strength-building all in one exercise machines. 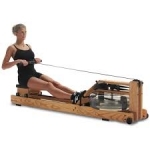 The smooth, low-impact rowing motion works the whole body, is easy to learn, and can challenge any fitness level. 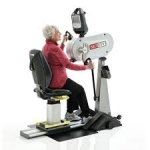 With the proper technique, using a rowing machine can work all of the major muscle groups of the core, arms and legs in a balanced manner.